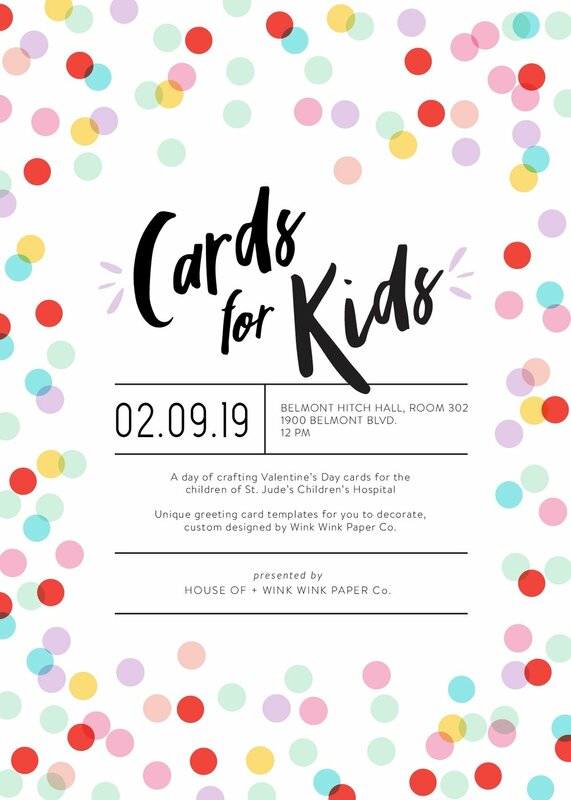 On February 9th at 12pm, House of is hosting an event in collaboration with Wink Wink Paper co.
Cards for Kids is designed to give everyone a chance to write a Valentine’s day card for kids in the St. Jude’s Children Hospital in Memphis, Tennessee. Wink Wink Paper co will be at the event providing cute card templates. After the event, House Of will be hand delivering the Valentine’s day cards created by you to Kids living in the St. Jude’s Children Hospital. Check out Instagram and Blog in the next few days for an RSVP link!